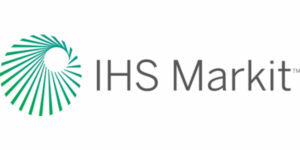 IHS Markit will share expanded insights from its aftermarket suite of products next week during the annual Heavy Duty Aftermarket Week (HDAW) in Las Vegas. Among the highlights, Worldview, an IHS Markit product, now integrates the medium- and heavy-duty Aftermarket Catalog Exchange Standard (ACES) from Auto Care Association to provide catalog analysis insight for aftermarket customers. The solution informs aftermarket product and catalog management efforts beyond light duty applications. By combining its medium- and heavy-duty vehicles-in-operation (VIO) data for all of North America with the ACES industry standard, IHS Markit says it is able to give commercial and aftermarket clients the ability to harness the same productivity gains and insights realized from leveraging light-duty ACES by applying the coding to the medium- and heavy- duty world. In 2018, IHS Markit launched medium- and heavy-duty vehicles in operation (VIO) data for Mexico. When added to the already available VIO data for the U.S. and Canada, IHS Markit says it now provides the industry with a complete detailed view of the North American commercial vehicle market. For customers using Auto Care Association’s medium- and heavy-duty ACES platform, IHS Markit is able to combine the ACES application data with its VIO information to enable product range and catalog coverage analysis for all of North America. This capability is available through WorldView, the online system from IHS Markit. IHS Markit will demonstrate its solutions suite for the global commercial vehicle aftermarket at its exhibit booth No. 702 at the Product Expo during HDAW at the Mirage in Las Vegas. Experts will be on-hand for product demonstrations and discussions, including both its WorldView and TipNet solutions, which provide detailed data and analytics to help those in the medium- and heavy-duty aftermarket make critical product management decisions. For those companies active in the original equipment (OE) parts business, IHS Markit also offers a full suite of new-vehicle forecast products, with outlooks for registrations, production and propulsion systems.